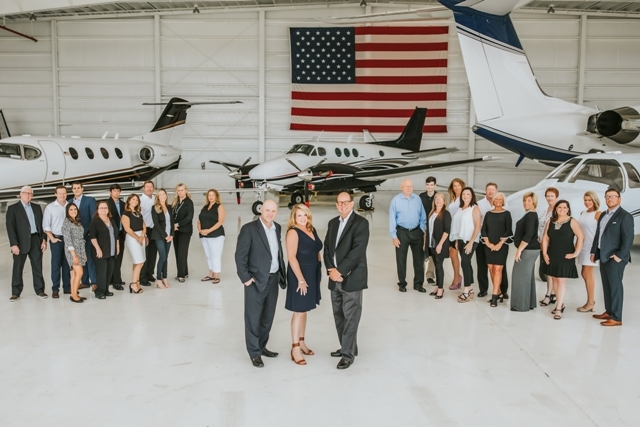 The team at KBT Realty Group consists of 14 seasoned agents and 7 support professionals all working toward one goal - your home buying or home selling satisfaction. With over 100 years of combined experience in the Cape Fear and Southeastern North Carolina coastal area, we are guaranteed to have an agent that is an expert in your new neighborhood. 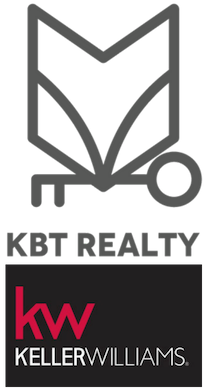 Whether you are looking for homes for sale in Wilmington NC, Hampstead, Carolina Beach, Southport, Ocean Isle Beach, Wrightsville Beach, or any of the other cities and towns in this beautiful area , KBT Realty Group is your expert home buying resource. First time home buyers, seasoned real estate investors, or vacation home shoppers looking for a luxury waterfront estate: we have real estate agents who are knowledgeable, industry-savvy, experienced, and available to help you find homes all along the desirable North Carolina coast, or in the neighborhood that perfectly fits your real estate dreams. We work for sellers; which means you sit back and relax. We specialize in enhancing the story of your property, market it across real estate websites and social platforms, and negotiate contracts. The KBT real estate team brings everyone together to close. At KBT Realty Group, our agents and brokers understand your priorities, your budget, and your goals. Any real estate professional can sell a house; not everyone can provide you with the local market knowledge, market analysis, and the insight that comes with years of experience in all market segments. KBT is selling homes in almost half the time of other agents in our region. That’s a big win for sellers of homes in Wilmington NC and the SE North Carolina coastal region. We welcome the opportunity to serve you. Please allow us to assist you with our knowledge, our data, and our unparalleled commitment to superior service. I am a 25-year hospitality professional turned real estate broker. Licensed since 2009, together with my partners Becky Brown and Tyson Emery, we own and operate the KBT Realty Team, a division of Keller Williams Realty. Originally from Louisville, Kentucky, I have been blessed to live in some amazing places during the course of my career and I have called Wilmington home since 2001. “Seek first to understand before being understood.” One of the more recent quotes on my list of favorites. Understanding my clients, who they are, how they live, and where they are in life’s journey is most important in determining how I can meet their needs. •	Past Board Member of the Coastal Carolina Real Estate Investors Association •	Sixteen years of immersive local real estate knowledge •	Attend Port City Community Church •	Volunteer Cape Fear Habitat for Humanity •	Access Wilmington •	American Heart Association •	Avid Tennis Player •	Fisherman •	Consumer of fine wine I make my home in Landfall with my wife Janine, my step-children Ryan and Samantha, and my son, Austin. Our two dogs and three bunnies allow us to stay there with them. I am one of the few true natives of Wilmington. I live, play and focus my time on the Middle Sound, Ogden and Porters Neck areas. However, because I am a Wilmington native, I am familiar with all of Wilmington and the surrounding areas. I have enjoyed being a Realtor since 1995. I have a background in insurance and banking. I am married to FF Adam Brown of the Wrightsville Beach Fire Department. I appreciate the hard work and dedication provided by the Fire, Police and EMS. If you work in the industry, please contact me about the special incentives with lending, inspections and closing attorney. When we are not working, Adam and I enjoy spending time boating and sport fishing, cooking, travelling and enjoying the Intracoastal Waterway with our beagle, Tracker. Why Experience Matters: I have worked hard to become a successful Realtor/Broker in today's market. I first became interested in Real Estate while working as an Insurance Sales Agent. While selling insurance I attended the American College of Bryn Mawr, PA gaining valuable insight to the financial market, which served as the foundation of her Real Estate career. I am a strong believer of the motto “knowledge is power”. I understand that just holding a Real Estate is a license is not enough to do the tasks expected by quality Realtors in today’s market. As a previous Coldwell Banker Franchise Owner, I have real insight on both the front and back side of every type of real estate transaction. Giving Back Being a Wilmington Native, I am thrilled to give back to my community. I have served on many area charity boards and committees, such as American Heart Association, The American Red Cross, Boy Scouts of America, The MDA “WOW” Events, WRAR Real Estate Auction and Food Fair. Growing up in Kalamazoo, Michigan on beautiful Gull Lake I learned how much I enjoy living near water. During my college years I attended the University of North Carolina at Wilmington and graduated in 2003. Wilmington is Home for me and my lovely wife, Rachel, and our 3 dogs, Brandon, Airlie and Duke. We enjoy everything that Wilmington has to offer from the beaches to the historical richness that still can be seen today in the downtown riverfront area. With my mortgage background stretching over the course of 7 years and my several years of experience in the Real Estate industry I have proven that I get the job done. My Real Estate career has allowed me the privilege to work with several clients which has consistently landed me in the top 1% every year. PASSION, KNOWLEDGE, PERSISTENCE and SERVICE is what I deliver. V.P. Operations, President, C.F.O., C.O.O. These are just a few of the titles I’ve held while serving clients such as Ben & Jerry’s, Pepperidge Farms, Godiva, Nestles, See’s Candy, Fanny May, Dryers, Lowes Home Stores and The Home Depot. Now I serve clients in pursuit their most important purchase…their home. Having served the largest food and box store companies in the country, I have learned that service- real service is at the key to gaining and maintaining business. I am an Eagle Scout, I hold a degree in Engineering, and an MBA. I am well prepared to look objectively at the home purchasing process and help my clients make informed decisions. As part of teams that purchased and sold (4) multi-million dollar commercial food processing companies and having negotiated labor contracts with multiple unions at facilities throughout the US, I am qualified to analyze, negotiate, and see through to completion the buying and/or selling process. My commitment to all of my clients is to provide unbiased and professional information about the property they wish to sell or buy and to assist them in making good decisions. My goal is to make the process seamless from the first look until the last box is unpacked. I have bought and sold seven personal homes in my lifetime I understand the process and the benefit of a great realtor. My wife and I relocated to North Carolina in 2005; I will never be a native, but I consider myself a local. I want to share my enthusiasm for the area with my clients and develop long and lasting relationships. If you are looking for an experience professional that will guide you through the process, I can do the job for you. I can help you stage your home, give you input on things to improve in your home to help your house sell quicker and help you set the appropriate price to either list or buy to get the best value in your real estate transaction. Let me show you real honest customer service and how our team can make this a wonderful experience. As a Wilmington Native, Fred has lived the majority of his life in this area. This has given him an extreme knowledge and understanding of the area. He has seen Wilmington grow from a small coastal town to a thriving city that now survives on many industries and has become one of North Carolina's favorite vacation destinations. Fred comes to Keller Williams Realty with over 20 years of experience in the real estate business. He initially started selling lots for a large developer, to then selling houses and large acreage tracts, and eventually developing property himself. With this wealth of experience he will make sure you get the expertise and knowledge that you expect from your agent. Fred is a graduate of North Carolina State University. He worked several years in the mortgage industry before finding his real passion with real estate. When not working, Fred tries to spend the majority of his time boating on the various waterways with his friends and family. My personal mission has always been about helping people create new futures for themselves and their families. And having the privilege of facilitating a move to a new neighborhood, finding a new home, or creating new income through investment properties, is a very rewarding way to do just that. After a 25+ year sales and marketing career in the travel and hospitality industry, real estate offers just the right opportunity to combine my love for sales and marketing innovation, along with win-win contract negotiations and building strong personal relationships to impact the lives of people around me in ways that truly matter. After having lived all over the country, and finally finding my way here to beautiful coastal NC, the opportunity to share all the great things that this area has to offer with others, makes “work” seem like “play” every single day! With a deep commitment to “doing the right thing – always," and enjoying plenty of laughter at every opportunity, regardless of whether your objective is to enjoy the highest possible returns from the sale of your most precious asset or your goal is the hunt for your next “living the dream” or vacation get-away home here in beautiful Brunswick County, as your NC Broker by the Sea, I guarantee to make it fun, fast, and fruitful. By working together with my outstanding partners at KBT Realty - the #1 producing team in the region and the #1 real estate firm in the world - I can assure that all my customers experience the level of customer service excellence they deserve. A recent graduate of Cape Fear Community College and mother of one, I have lived in the Wilmington area since 2008. My background in the banking industry has afforded me to be an expert in customer service with strong attention to detail and the ability to solve problems quickly and with ease as they may arise all while possessing a natural instinct to take care of people. Buying and/or selling a home can be a stressful process, however, I genuinely enjoy getting to know people in order to ensure all of their needs are being met to help ease that burden. Whether buying or selling, my commitment to you is that of honesty, loyalty, and integrity with open communication. I am a proud Wilmington native. Growing up in Wilmington and attending public schools in New Hanover County, as a youth I have watched the county grow into an area that many visitors would like to call home. I graduated from the University of North Carolina at Wilmington earning a Bachelors degree in Communications and returning to graduate school earning a Masters degree in Elementary education. I began my real estate career in 2007. While keeping my license up to date I continued to stay closely tuned in to the local market conditions, trends and the needs of clients, family and friends that were actively pursuing property in the Wilmington, Wrightsville Beach and Carolina Beach areas. I am very excited to be able to refocus my real estate career by being a part of the number one team with Keller Williams, KBT. My husband, Derek, a native New Yorker, and I are busy raising four children. We all love spending time outdoors. We can usually be found on the beach or on our boat. We spilt our time between our homes near Wrightsville Beach and on Carolina Beach. Hi everyone! My name is Abby Torrence, formerly Abby Milkus. I gained my new last name along with a husband in March of 2018. I am originally from Slinger, Wisconsin, a really small farming town. I moved out to Wilmington in 2013 with my younger sister to finish my Bachelor's degree at UNC-Wilmington for Biology/Chemistry. I used my degree as a Pharmaceutical Sales Rep and Technology Sales Rep for a few years before getting my Real Estate Broker License. I am so excited to be working in Real Estate and help clients find their dream homes either by selling their own or buying for the first time! Having started my Real Estate career in 1997 in Westchester, NY, I am very happy to now be part of the Keller Williams family. I moved to Wilmington, NC the summer of 2005 and have never looked back. Since moving here I have been very involved with my children’s schools and activities. I’ve devoted countless hours to various volunteer efforts including 7 years with the PTA, one as PTA President of my children’s school. I have been the tournament chair for the L9GA at the Country Club of Landfall, I also Co-chaired the 2010 CCL Pink Ribbon Event which benefits the New Hanover Regional Medical Center, in addition to being Silent Auction Chair for the 2016 Cape Fear Heart Ball. Now it is time for me to help you find the home you’ve been dreaming about. I look forward to meeting you and your family. I know you are going to love living in Southeastern NC as much as I do. I grew up in North Carolina in the town of Goldsboro and attended Appalachian State University and then spent two years working in Chapel Hill. I earned my MBA at The University of Tennessee in Knoxville. After having spent 7 years in marketing, I realized I was uniquely positioned to combine the expertise of my business and marketing background to help others make one of the most important decisions of their lives, real estate investments – whether to call someplace home or be on the path to wealth through investing. I spent 10 years as a licensed agent in Reno, NV where I grew a small team and then chose to return home to North Carolina to live near the beach and family. I was a top producing agent not because of chance, but because of persistence and education. I always cared deeply about my clients and refused to let them fail, negotiating on their behalf and educating them so they could make the best decision for their families. As the Director of Growth and Operations for KBT Realty of Keller Williams, I take that same approach with agents. I understand that when I pour into our agents and help them become their best selves and live their lives by design, that in turn, our team is better positioned to help more families achieve their dreams! To be able to know exactly what activities can drive your results makes funding your life predictable, and I want everyone who is interested in a career in real estate to hear that message and engage in the tools that makes it happen. I believe whole-heartedly in the missions, visions and values of Keller Williams and that our agents can change lives. When I’m not seeking opportunities for other agents, I enjoy spending time with my family, including my silly and entertaining son, Jonah. Travel, reading, photography and enjoying time at the beach rank at the top of my happy-times list. I consider myself blessed to be a part of a company that puts family first! I’m originally from Charlotte, NC. I graduated from UNC Charlotte with a B.S. in Psychology in 2017. The same year, I married Christopher and we moved to Wilmington with our 3 dogs. We want the beach to be our forever home. I enjoy running, the outdoors, baking and volunteering. I am currently a board member for the Lo-Tide Run and help protect sea turtles with the Pleasure Island Sea Turtle Project. I was born and raised in Indiana, Pennsylvania. I moved to the beach to pursue an education at UNCW and haven't looked back since. I enjoy every minute here and am looking forward to see what the future holds.